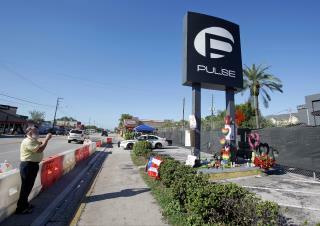 (Newser) – The owner of Orlando's Pulse nightclub is going to hold another Latin night, less than two weeks after the event became the scene of America's deadliest mass shooting. "We need to show that we are strong, that Pulse continues and that we appreciate all the help the community has shown us," says owner Barbara Poma, who opened the LGBT club in 2004 to commemorate her older brother, who died from AIDS in 1991. Poma says Thursday night's event will be a street party at a venue around 2 miles from the nightclub, which will remain closed as the investigation continues, NPR reports. Rumor has it they will provide private dating booths where the guys can unload so to speak. My guess is some pretty good shots, will be hanging out waiting.